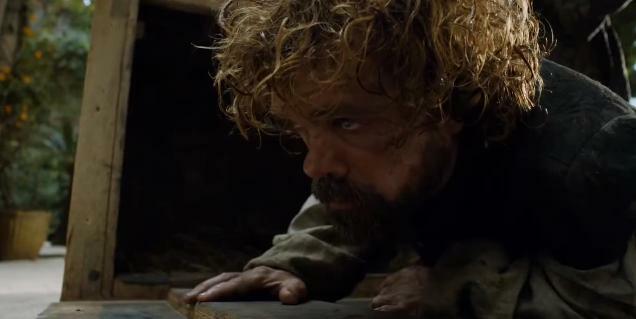 This post will be discussing certain plot points from HBO’s Game of Thrones. In particular, Season 5’s excellent episode “Hardhome.” Let this be your spoiler warning. But if you’re not caught up, you really should do so. Hardhome was amazing. Damn it to Thenn!!! SPOILERS!!!!!! 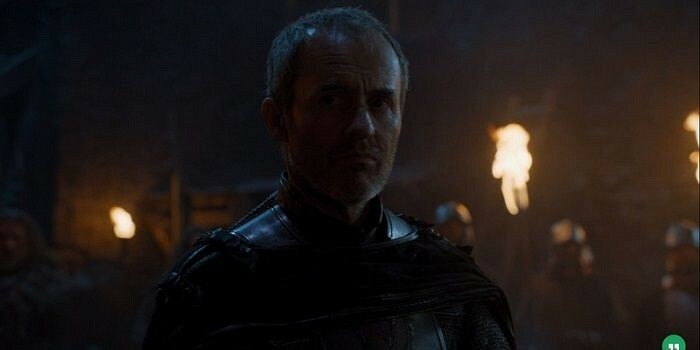 In the eighth episode of the most recent season of Game of Thrones, the show delivered on something that had been hinted at in the first season and teased at the end of the second season: an attack by an army of the dead. 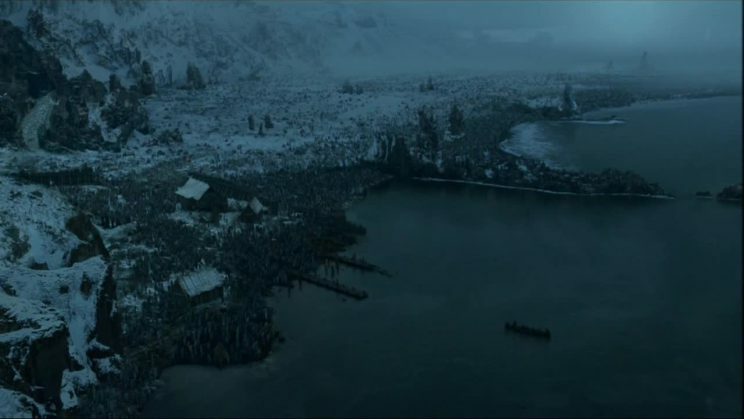 Jon Snow, the Lord Commander of the Night’s Watch and notorious Wildling lover (that fact cannot be argued with) arranged a joint Crow/Free-Folk expedition to Hardhome, a bleak fishing village that the defeated Wildlings had relocated to after their migrating army was crushed by the forces of Stannis Baratheon. Jon’s goal was to grant the refugees safe passage south of the Wall, since if the Long Winter came as Mance had warned, and with it the White Walkers and their ghoulish minions, then the Wildlings would soon be trying to migrate south again, but following a leader other than the King Beyond the Wall. He’s talking about me, right? They’ll be respecting my obvious and righteous claim? No, Stannis. He does not mean you. Unfortunately, the Others (that’s the term the book uses for the White Walkers) arrived during the evacuation attempt, massacred all the Free Folk who were outside the wooden palisade at Hardhome, and began to butcher those inside as well. 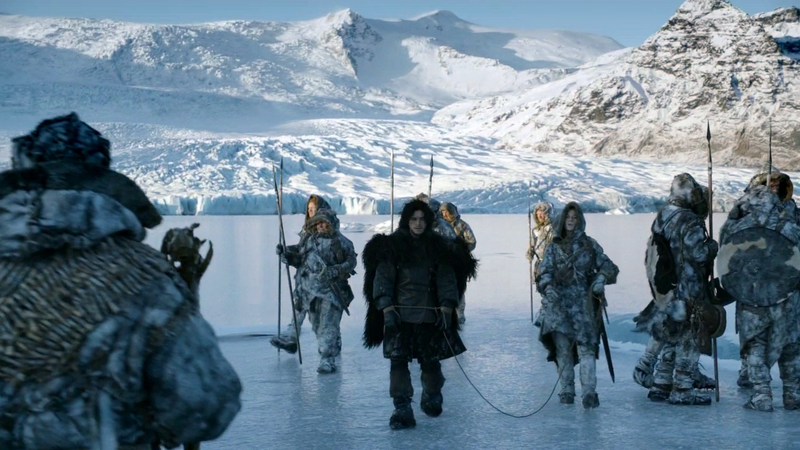 Jon Snow managed to board the last boat out, and watched helplessly as the remaining fur-clad fighters were cut down. Then the leader of the Others dramatically raised the fallen to life, or undeath rather, as fresh recruits for his army. There’s no gender discrimination in the northernmost armies. They’ll take any old warm body. Doesn’t even have to be warm. Or old. The icy lord of the ghouls stared at Jon. His army covered the beach, looking bay-ward. Audience members held their breath, since it seemed pretty clear that the Cold Commander In Chief was going to order his zombie forces into the water to swarm towards Jon’s rowboat, right? So, the unanswered question that people asked after the episode: Why didn’t he order his forces into the bay in an undead amphibious assault? People suggested a few theories, hoping to explain this. Some I think were more credible than others. Since we have nine more months until season six starts up, talking about theories is a fine way to pass the time. Let’s begin. One theory suggested that the Night’s King (if that’s who he is) could have ordered his troops to swim after Jon’s boats (and by extension, the boats out in the bay) but opted not to, because he appreciates some measure of dramatic flare. He certainly dramatically increased the number of his foot soldiers after the battle. The survivors who witnessed this mythic event could spread dread among the living, telling the terrible tale. That doesn’t seem way off base. There were survivors from the battle of the Fist of the First Men, so maybe the supernatural besiegers let Mormont and his handful of future mutineers escape on purpose. This might also explain why Sam Tarly wasn’t killed straightaway at the end of the second season when it seemed pretty clear that the mounted White Walker in charge had spotted Sam hiding behind a rock. 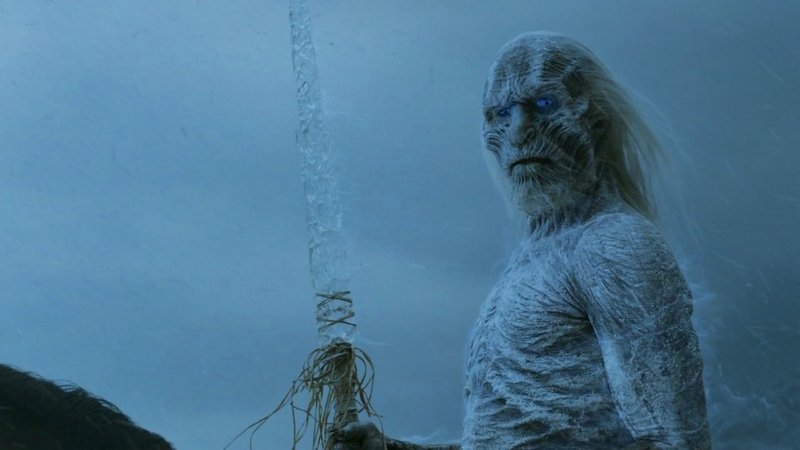 Wally the White Walker: I’d totally kill you, Tubby, but then you’d slow us down, shambling along. I’m not totally sold on Sam being let go deliberately, since Tarly did start season three with a wight in hot pursuit of him. (Until the pursuer got really hot when Lord Commander Mormont set it on fire.) But that particular wight might not have received the memo. 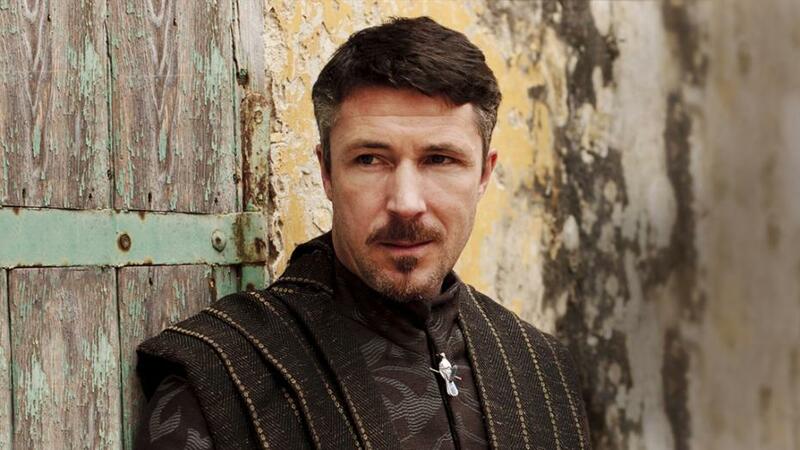 It could also explain how the Night’s Watch deserter who Ned eventually beheaded survived the encounter where the Others killed his superior officer and decapitated his ranger colleague. The White Walkers might have let him go to get the rumor mill grinding some fear. But that all seems somewhat unlikely. Especially because the Night’s King at Hardhome saw Jon Snow kill one of the Others with a Valyrian steel sword. 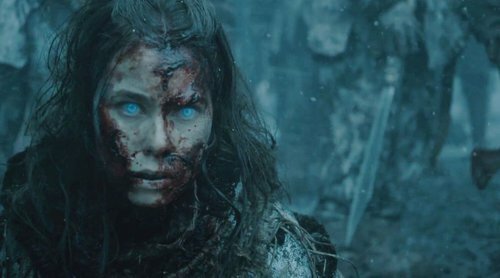 The wights can be stopped by clubbing them and clobbering them, or setting them on fire, but the White Walkers had been pretty untouchable until Sam killed one with a dragonglass dagger. Obsidian isn’t the hardiest of weapons, being literally stone age technology. But Valyrian steel was a high end threat, and its efficacy was probably a secret worth forgoing dramatic gestures for. Water is a Natural Weakness? Another theory to consider: the Others and wights might be vulnerable in some way to water. If so, it would explain why the wights lined up at the edge of the shore, rather than spilling out into the dark waters to attack Jon’s rowboat. I don’t have any hard evidence against this, although we did see wights knee deep in water during the attack, stabbing Wildlings who were in the chilly surf. If water had a repellent property, I’d expect it to be effective even at shallow depths, but I’m willing to consider the possibility that a certain amount of water would be required. The wights don’t seem to be that troubled by the waters if they can be a noteworthy complication in the books. My personal feeling is this: the wights simply can’t swim. Most of the wights appear to have been Wildlings that were killed and resurrected by the supernatural Others. I assume that living, breathing Free Folk would not know how to swim, and dying would not be particularly instructive in providing them with their aquatics merit badges. 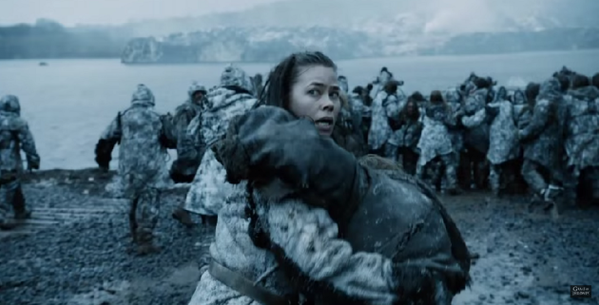 Why wouldn’t Wildlings be able to swim? How can I make such an assumption? If I can make some historical parallels (and I’d be happy to have experts call me out on my assumptions) in our world it’s not uncommon for people to swim, but until the past few hundred years, most people who learned to swim were also engaging in a lifestyle that demanded them to have swimming skills. In the United States, it took a terrible tragedy in 1904 to motivate the American Red Cross to organize a nationwide effort in promoting swimming lessons. In the far north of Westeros, let’s be charitable and assume that a progressive and enlightened King Beyond the Wall felt that Wildlings should learn to swim and put this forth as an agenda. Where would the Free Folk learn to swim? Wrong. Fish might swim in the those lakes, but I doubt humans do. Or for very long. The northern lakes might not be covered over in ice all the time, but even short durations in lakes fed by glaciers would invite hypothermia. It just doesn’t seem likely as a location for swimming. But people in the real world jump into icy water, all the time. As part of Polar Bear Plunges and so on. Right on, they do. They jump in. Yay! Then they get the hell out, get wrapped up, and are given warm drinks to keep them from dying. But there are bodies of warm water up north. Jon and Ygritte got busy in one! Ygritte teaching Jon the breaststroke. What? That’s a legit swimming stroke! You get YOUR mind out of the gutter! Sure, there are geothermal hot springs and so on. I’m not saying that there aren’t, although the cave pool Ygritte got Jon to break his vows in didn’t seem a useful place to really learn how to swim. But I’m fine with considering it. In our ancient past, public baths were useful for practicing swimming (even if people mostly hung out on the ledges and whatever…) so maybe there are Wildling hot springs deep enough for legitimate swimming. But there are still practical problems to the wights swimming after the rowboats, even if in their past life, they swam like seals. Take a Wildling and teach them to swim. Wrap them in a bunch of furs and thick boots. Then kill them. Then reanimate them into a walking corpse. Then order them to swim. I think they’d just flail around, even if they knew how to properly move through the water. Not just because they’re encumbered. But because they’re dead. We really don’t know what the cognitive process is for the wights, if they’re just acting out of instinct, or if they have any kind of self-consciousness for directing their own actions. The White Walkers seem to control them, since the army consistently behaved in a coordinated fashion. When the newly dead arose, they immediately adopted the same actions of the army standing and waiting, eyeing the fleeing men. As if they were receiving explicit instructions. How does the White Walker control work? Is it something like issuing basic commands, like “stand over there and don’t move” or “head over there and kill people” or “stop moaning, that’s irritating me” or what? Does it act like a form of warging? Maybe an Other puts its consciousness into a wight and directly controls how it acts and moves? That doesn’t seem likely, since a given White Walker would have to put its brainpower into many, many zombies simultaneously. But even if a White Walker could do that, and had the ability to make many wights do specific body motions like swimming, I doubt the average zombie master would be able to properly pull that off. For the same reason that most Wildlings can’t swim. I’m pretty confident that the Others don’t know how to swim either. The White Walkers are super-cold. Magically, crazily cold. Cold enough that steel becomes brittle and shatters in their presence. If one tried to do a few laps at the local YMCA (Young Men of Craster‘s Association) swim center, they’d be stuck in a self-generated ice floe. Now, it’s possible that in the far far north, the Others have a swimming pool filled with something alcoholic (something with more kick than wine*) and that’s how they could enjoy regular aquarobics. A… POOL of something stronger than wine? By the Old Gods and the New! I WANT TO GO TO THERE! Assuming the above, maybe they’ve built up the proper muscle memory that when they warg into a dead man’s body, they can also have the wight swim as well. But I’m skeptical until I see it happen. But how does my assertion hold up against the evidence that in the books, Cotter Pyke had to deal with “dead things in the water,” if they can’t swim? Well, I’ve never said they can’t go into the water, just that they didn’t in the Hardhome episode, and that it was probably a choice by the Other in control. If the wights were dumped off in the water, they’d probably float, depending on their buoyancy. Freshly dead things tend to float because decay causes internal gassing. Which is very gross to think about. 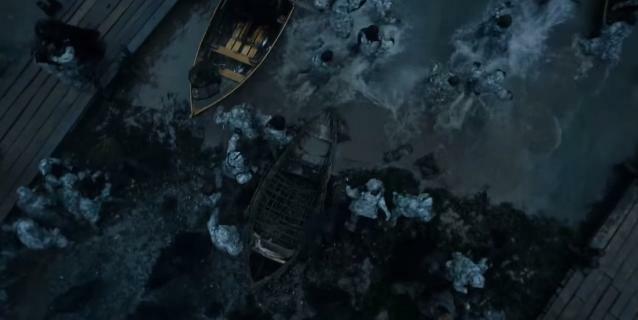 So the White Walkers (in the books) might have ordered wights into the water as part of an encircling move, kind of like free-floating mines, and were in the water when Pyke’s ships arrived. Or some of the wights might have noticed the ships, figured they’d try to walk out to them, and didn’t have any Other orders not to. 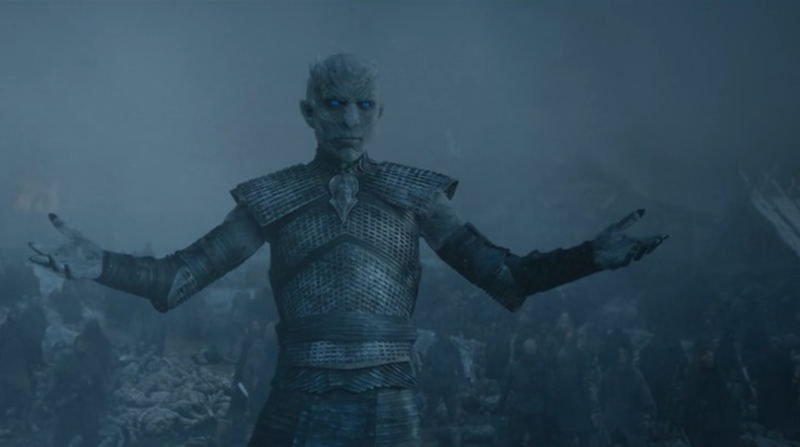 Look, I’m not going to go into a great deal of speculation in regards to Hardhome in the books. I just don’t think the wights were swimming there either. But while we’re talking about wights and water, the Others might be able to utilize their undead horde in interesting ways, to deal with a watery barrier. Ants have developed evolutionary tricks to deal with water. Ants have been known to survive river crossings by forming huge (for ants) balls that act like rafts. I don’t know the average number of ants that drown in a typical floating ant-ball, but if ants keep moving while on the mass and the insects above the waterline are trading places constantly with the ones below the water line, it’s a viable system. Wights don’t need to breathe, so they don’t even need that level of cooperation. If the Others wanted to get wights out into the water, they could order a mass of wights out as a raft-like platform for more wights to scramble over, who would then establish a new base for the first group to scramble over. Heading out to the ships like a grisly amoeba. But they’d need to move fast, since I’m pretty sure the guys in the rowboats would be hard to catch. I know I would be rowing like there was no tomorrow. Since a surging mass of bobbing-rafting wights probably couldn’t catch the rowboats, it makes sense for the Night’s King to refrain from giving them that order, with no hope of success. That’s a surprise worth keeping secret. It would be bad for Westeros if the White Walkers planned on using their minions to deal with water in an ant-like way. Since the Wall extends from coast to coast, the logical weak spot would be to swarm around the Wall at the ends, through the shallow waters hugging the coastlines. It’s not a perfect strategy though. It might be useful for getting the dead south of the Wall, but doesn’t guarantee getting any of the icy Others south, since their ability to move through a liquid other than antifreeze would not make sense. This “antifreeze” you speak of… does it have a vintage? If the Others and their grisly foot soldiers do find a way through, over, or around the Wall, in would be a problem for Westeros but not necessarily a global apocalypse. The Narrow Sea presents a barrier for further expansion. 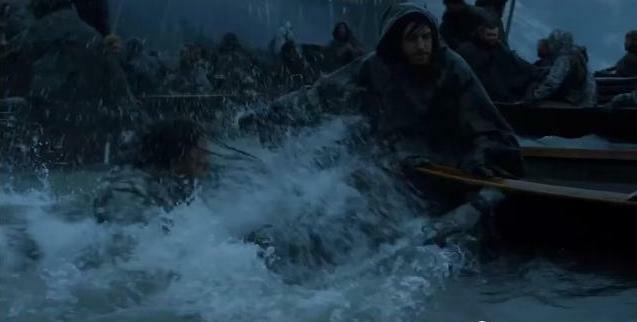 Ordering wights into the surf to float over to Essos hardly sounds like a solid invasion plan. And it doesn’t get the White Walkers there, who presumably are needed to direct the wights. Unless the Others can get access to ships (and learn the requisite nautical skills) they’ll be trapped in Westeros. Hopefully no human would negotiate with the Others, to provide ferrying services in exchange for power. Fortunately, no one could be so sinister as to consider that. * I say something stonger than wine, since at 12% alcohol content, wine freezes around 20 degrees Fahrenheit, and I suspect the White Walkers are colder than that. 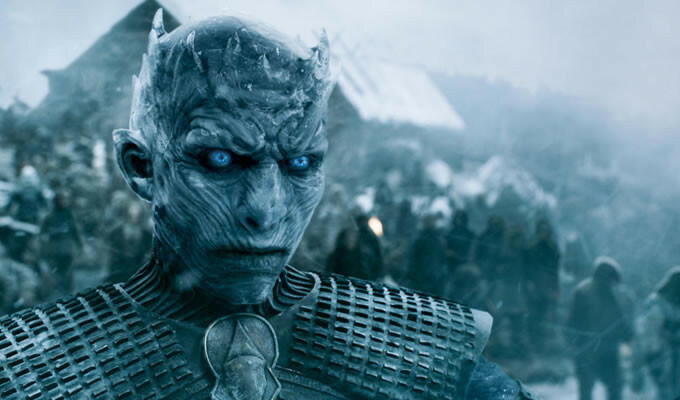 Grain alcholol, for example, freezes at temperatures around -140 F.
Maybe it’s an energy thing – Night’s King was worn out after the attack and then raising all those bodies and he/the other commanding White Walkers didn’t have the energy to direct them into the water? That might explain why the army is taking so long to reach the wall. OR like you said, they don’t float. I would also imagine dead bodies with no air in them sink – and further (puts on nerd glasses) water past a certain temperature doesn’t allow buoyant gases to form in a corpse. I might be wrong though! Honestly I think the showrunners just thought the faceoff moment would be cool – and it was. They don’t seem to follow the same hard rules as GRRM when it comes to worldbuilding. Thank you so much for your comments, and bonus points for Nerd Glasses! Season 5 was SOME season. Slow start and then, wham. Lovely post. Although this vocab isn’t suitable for anything Westerosi! 😀 Keep them coming. Thank you! I promise to keep them coming! These are super interesting theories! I did think of the “water problem” tool. But for the sake of the show, if the Night’s King has a sense of drama then we’ll have something to look forward to in season 6. “Snow vs Night’s King”. On that note, I don’t think Snow is dead. What are your theories on that? Book readers have been worried about Jon being stabbed for four years, and I think I was hoping that the stabbing wasn’t *too* bad, but the show really took away the theory that Jon might be saved with first aid. So now I have to rely on Melisandre reanimating Jon. I know the other popular theory is that Jon will pull a warging trick and stay alive in spirit by taking over Ghost, but I would rather Jon be a person (as in brought back to life and all the sinister implications that could bring) than being an animal. Thank you for sharing that here, it’s always nice to see the Game of Thrones locations in the real world. I like this whole blog. I’m gonna spend more time here. I loved the last season and think it should have been the last, but I know it will roll on for $$ sake. I like the first theory regarding dramatic effect. “Run tell the living that we are here.” Most likely, it’s just due to lack of writing ability. The dead could have easily annihilated all of them, floating or not. Yet, this show has a problem with endings…they just don’t think that far ahead. Of course they could and should have walked after them like AMC’s Walking Dead or formed an undead human bridge. That would have been super cool, but the show must go on. Right? Glad you enjoyed my blog and commented, much appreciated.